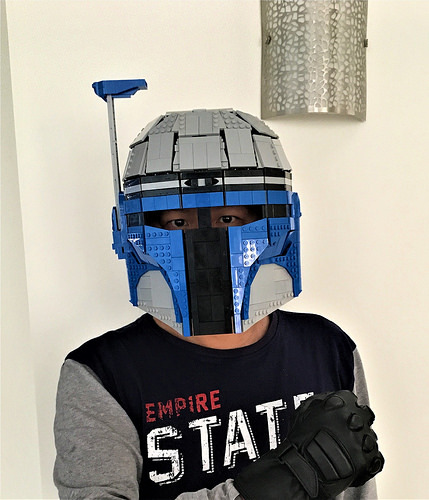 Lego Admiral continues his impressive series of wearable LEGO helmets with a build of bounty hunter Jango Fett’s helmet from Star Wars Episode II: Attack of the Clones. 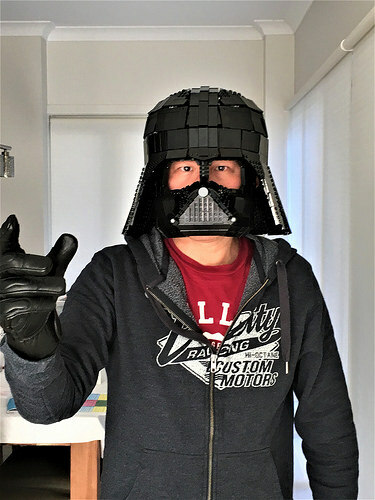 The builder continues to refine his techniques since constructing his Darth Vader helmet replica, nailing the dome shape on top, the iconic T-shaped visor slot, and indented cheek plating. 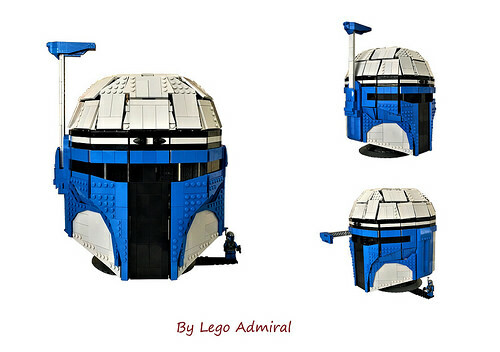 The fold-down rangefinder is a nice touch. 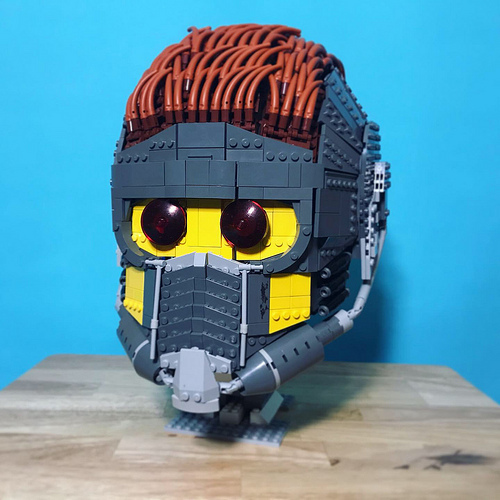 Lego Admiral shows the Mandalorian helmet is not only screen accurate in the bricks, but is also wearable. 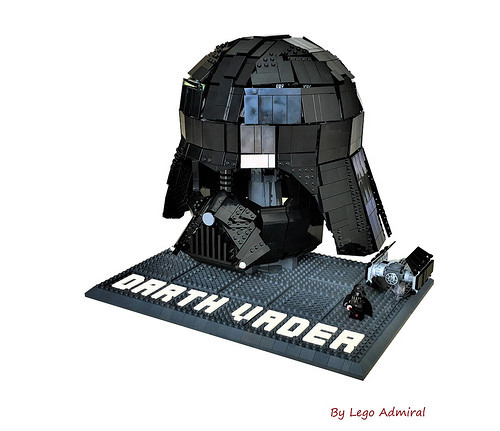 The Force is strong with Lego Admiral and his life size, wearable LEGO Darth Vader helmet. 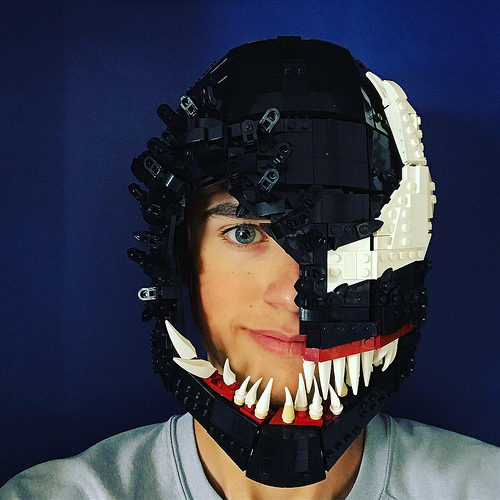 The detailed features of the iconic face mask and breather are captured well with the bricks, as is the smooth paneled shaping of the dome. 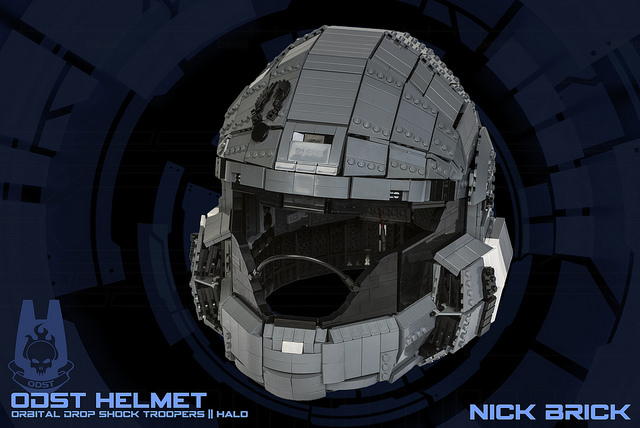 See more photos of LEGO Admiral’s helmet on Flickr, and learn a technique for constructing your own LEGO helmet with a Halo ODST helmet breakdown. Director Krennic’s Death Troopers are as intimidating as they look in Rogue One: A Star Wars Story. 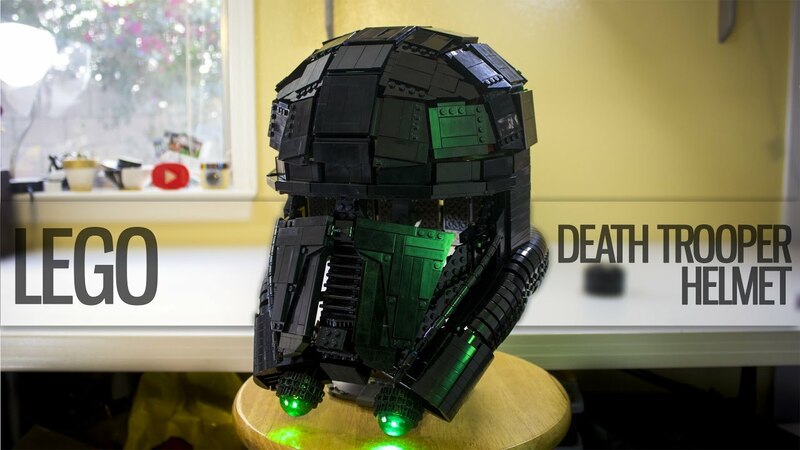 This elite armor design comes to life in LEGO bricks with a wearable helmet constructed by YouTuber Spencer Hubert. 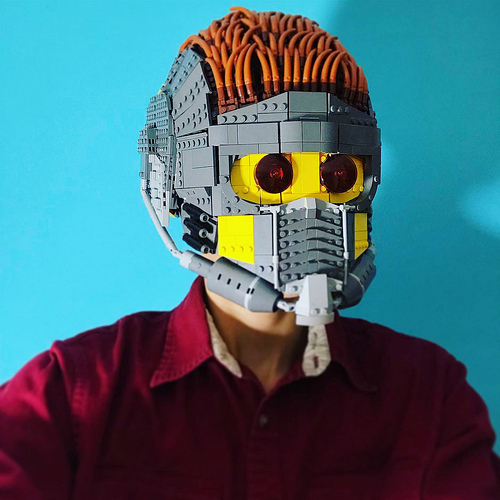 Spencer utilizes techniques I used on my LEGO Halo helmet for the dome on top, and the results are instantly recognizable. 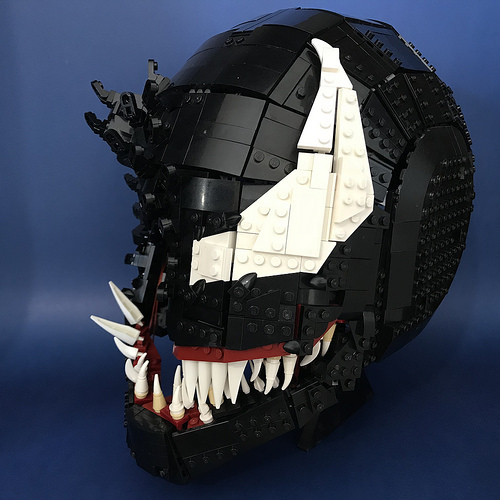 See an overview of the helmet and Spencer himself trying it on in this video.